Franklin Tomorrow works because amazing people choose to support our mission. At Franklin Tomorrow, we understand the importance of community and teamwork. It’s why our organization has been so successful and so strategic in guiding the ongoing development and vision for this town. It’s hard to jump in — but those who commit to our team see the results of their efforts. If you would like to donate financially, we appreciate your generosity. All donations of $25 or higher will qualify you as a Supporter of Franklin Tomorrow for one year. We keep your personal information private and secure. When you make a payment through our site, you provide your name, contact information, payment information, and additional information related to your transaction. We use this information to process your payment and to ensure your payment is correctly credited to your account. Show your civic pride AND support Franklin Tomorrow! Did you know Franklin is the only city in the entire state with its own plate? 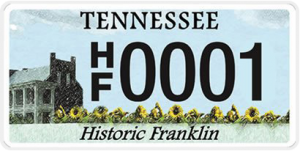 When it’s time to renew your plate, consider purchasing a Historic Franklin license plate at the county clerk’s office – or by mail. 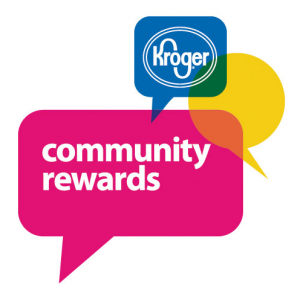 This is a great way to invest in the community!